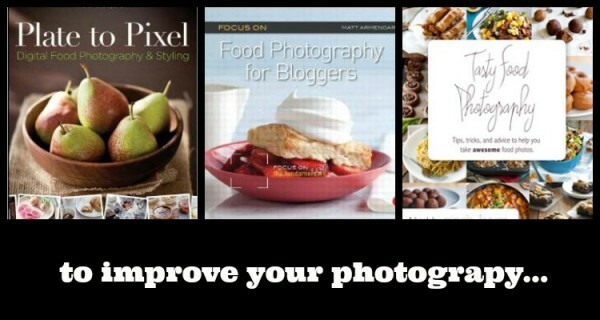 If you want to grow your blog, here are 9 food blogging books to buy and read. These will help you grow every aspect of your blog and turn it into a business in no time at all. I’m loving the feedback I’m getting in this series, you guys! I’m so thrilled that you like reading this posts and more importantly, that you’re finding them helpful. 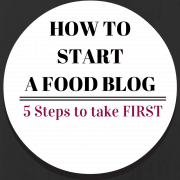 So for we’ve talked about the first five things to do when starting a food blog, how to write an about me page, how to write a recipe and how to network with other bloggers. When I started my blog over four years ago, I relied a lot on Google and books to help me learn the ropes. I learned as I went along and I’ve continued to add books to my blogging books library. Listed below are some of my favorites. Plate to Pixel: One of the first blogging books I bought was Plate to Pixel. The author Helene Dujardin creates the most beautiful food photographs as demonstrated on her site Tartlette. In her book, Helene covers lighting, styling, camera settings, composition, editing and storage of photos. It’s absolutely a must-have if you’re looking to improve your photography. Food Photography for Bloggers: Another great food photography reference written by food photographer and blogger Matt Armendariz. This book is clearly written, engaging, and will have you taking pictures like a pro in no time. Tasty Food Photography EBook: This is the only book on the list that I don’t personally own (yet), but I feel confident recommending it because pretty much everything Lindsay and Bjork of Pinch of Yum create is amazing. Check out their food photography archives for a taste of what you will get in this ebook. If you’re writing a food blog, it’s best to know how to develop recipes (kinda what this is all about, you know?). These books will give you the building blocks you need as well as get the creative juices flowing. The Flavor Bible: I know I’m a bit of a broken record when it comes to The Flavor Bible – I’ve written about it many times before. Turn the page to “pear” and you’ll find a list of things that will complement that juicy pear perfectly. See a perfect bunch of parsley at the store that you just can’t pass up? Turn to parsley in The Flavor Bible and you’ll be bursting with recipe ideas in no time at all. 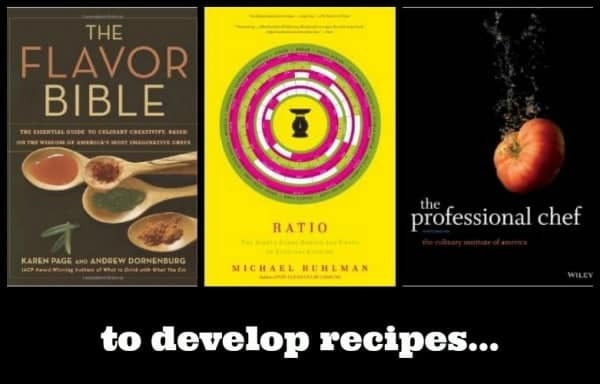 Ratio: This book by Michael Ruhlman is unbelievably helpful when developing recipes. Want to make a vinaigrette? This book will tell you that it should be 3:1 – 3 parts oil to 3 parts vinegar. It’s up to you what kind of oil…what kind of vinegar…and what else you want to add in. Fresh herbs? Dijon? Honey? The possibilities are endless once you know the basic ratio of the recipe. Biscuit dough is 3:1:2—or 3 parts flour, 1 part fat, and 2 parts liquid. Then it’s up to you — Sweet? Savory? A little of both? Professional Chef: This is a doozy of a book. It’s huge – textbook huge. But it has all your basics in it, all the tips, tricks and tools you need to be successful in the kitchen. It also has tons of great basic recipes in it that are perfect starting points if you’re stuck on the components of a particular recipe. 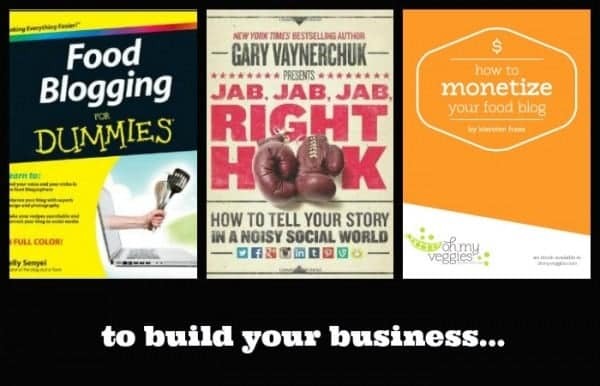 Jab, Jab, Jab, Right Hook: I’ve become a huge fan of the author of Jab, Jab, Jab, Right Hook, Gary Vaynerchuk. I listen to his entrepreneurship podcasts while I’m on the treadmill. This book gives you tips on how to be successful on each social media platform. One note about this book is that it was published in November 2013 and is on the topic of social media so some things have changed since this book was published. It still contains some good social media strategies and is a worthwhile read. How to Monetize Your Food Blog: I’m a huge fan of Kiersten’s site Oh My Veggies – which she has grown into a successful business with a team of 9 employees (correct me if I’m wrong on that number, Kiersten!). Kiersten is generous enough to share the techniques she uses to monetize her blog. 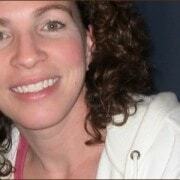 She covers ad networks, affiliates, sponsored content, freelancing, tracking your income, taxes and more. Some things are good to learn by trial and error, but when it comes to money and taxes, wouldn’t you rather get it right the first time? This ebook is a must-have. Updated to add: This ebook is now sold by Pinch of Yum. What do you think of this list? Any books you have in your library that I missed? 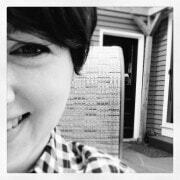 LOOKING FOR MORE PERSONALIZED, ONE-ON-ONE ASSISTANCE WITH BUILDING YOUR BLOG? Make sure to check out my blogging consulting services. I still have available spaces for new clients! One of my packages includes a few of these books shipped right to your house! I really loved your list. 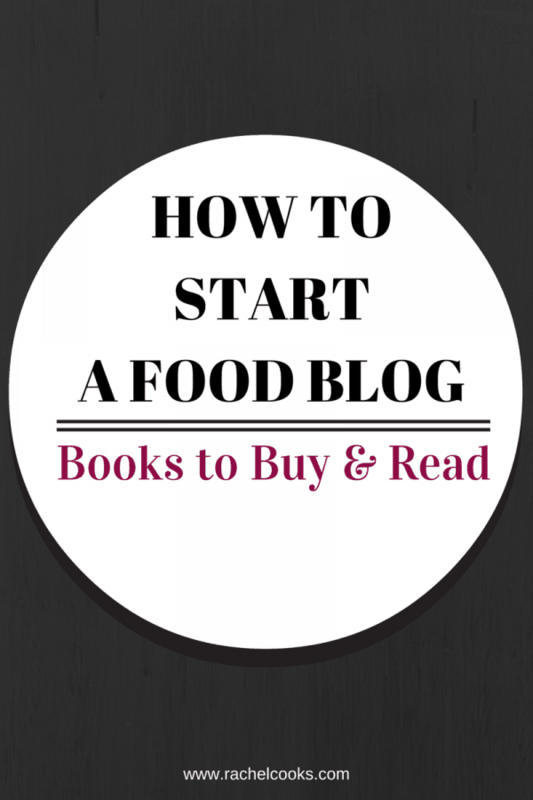 Great ideas to help people who are searching for the food books online and those who want to create and promote blog. It was a great help to me thanks for sharing. I know this is an old article but I think you credited the “How to Monetize your Food Blog” wrong. That is Lindsay’s from Pinch of Yum. Thanks for the resources though! Thanks! They actually transferred ownership of that book (originally authored by Kiersten), but I should update it to reflect the change. Thanks! That is such a lovely list of books for food blogging and I must say your website is beautiful. It figures; you seem to have put in a lot of effort to get where you are. I’ve been doing it mostly for fun but am really at the point now where it is taking up enough time (I have 4 kids and work 3-4 days a week in surgery) that I feel if I’m not making a decent amount of money I really can’t justify it. If you have any more tips for monetizing I would really appreciate it! What a great list! A few of these I own and love and a couple I don’t have but just ordered. Thank you! Awesome list! I love the business-y side of blogging so I always skip the photography and food-related books. Adding the ones you suggested to my list! What a great list! I am a broken record when it comes to the flavor bible too. I recommend it every chance I get. Have you checked out the new Vegetarian Flavor Bible yet? I haven’t yet, but I’ve been wanting to! Is it worth having both or is there a lot of overlap? Hi there- I have just discovered your blog and it is totally amazing!! Love everything I have looked at! I also really enjoyed reading this post as well as the others in this series, such great and useful information for people like me trying to get started. Thank you so much!! Wow, thank you so much for the great compliment! Looks like you’re off to a really great start on your blog — beautiful photos, too! And I just saw that you have 6 children! Wow! You’re my hero. I am always looking for ideas on how to improve. Thanks for the great list. Awesome list, thank you! I’m a big fan of The Flavor Bible too. It’s essential. There are also a number of Facebook Groups for food bloggers that are excellent for answering specific blogging questions. Such great resources. I got the Flavor Bible for Christmas. Thank you so much for including Food Blogging For Dummies in this amazing post! What a resource for beginners and experts alike!